The fatal combination that is Easter weekend and the bank holidays that bookend it can't stop the deals from showing up on time. Try as they might, of course. As such, this week's roundup is here and features everything from digital downloads to full gaming PCs and more. Let's take a look, shall we? 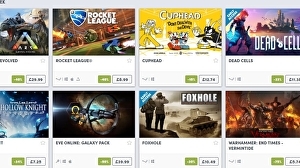 As usual, we've got deals that'll work in the UK, deals that'll work in the US and some deals that will work in both the UK and US, as well as presumably many other places. Editor's note: Back when Rainbow Six Siege first launched at the tail-end of 2015, we found it a slight and occasionally spectacular multiplayer game. In the time since, it's flourished into something else, and with the start of season three recently, we thought it an opportune time to jump back in and reassess Ubisoft's tactical shooter. of tactical shooter that modders used to craft out of bits of Quake or Half-Life, a paean to depth for depth's sake that seems destined to be adored in hindsight by the passionate minority that actually played it at the time. Yet here we are: now entering its third year, Siege is one of the world's most popular shooters. Its success can, in some ways, be seen as a forerunner of the dazzling rise of PUBG and Fortnite: in rejecting Call of Duty's Skinner box simplicity, Ubisoft has found an audience hungry for games where failure is unforgiving and success means more. 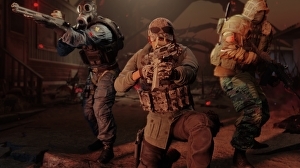 The top line for the unfamiliar: Siege is an adaptation of the venerable Tom Clancy tactical action series, taking the principles of breach-and-clear counter-terrorism and marrying them to modern competitive multiplayer design principles. A team of attackers must invade a secure location in pursuit of an objective - a bomb, bioweapon or hostage - while defenders set traps and prepare to repel them. Death comes quickly and eliminations take you out for the rest of the round. The result is something like hide and seek in Kevlar: a game where discretion is almost always the better part of valour, where acts of planning and foresight win the day just as often as marksmanship. Update, 7.12pm: Prod1gyX has successfully managed to reach reputation rank 50 across all three merchant guilds (although his methods remain controversial), and is the first Sea of Thieves' player to attain legendary status. Those wishing to avoid spoilers should probably stop reading now. 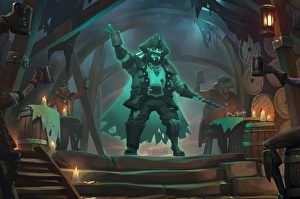 For everyone else, here's how things appear to progress once a Pirate Legend is crowned: when all three factions are maxed out, you can speak to the mysterious stranger in a tavern. Suitably satisfied, they'll reward your efforts with a new title, a legendary outfit, and a new shanty. 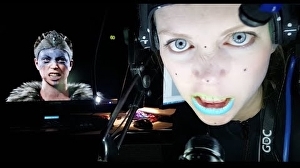 There's also an accompanying "riddle" which heavily implies (although this one took the best part of two hours to solve in the stream) that you should play the new tune where you stand. And lo, the legendary hideout, accessible via a secret staircase, lay beneath you all this time. Commercial director Dominic Matthews explained how in 2014, with work on Capcom's DmC: Devil May Cry wrapped up, the studio looked at what to do next. Ninja Theory pitched to publishers a project codenamed Razer, a "big games a service title" that never saw the light of day. A reason was because Matthews and the team found the industry had shifted into a position where middle-tier teams like themselves couldn't survive. 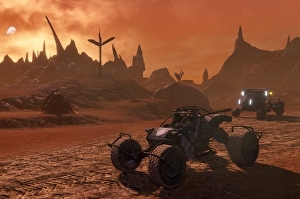 Mars-set sci-fi shooter Red Faction Guerilla is getting a remastered re-release for PC, PlayStation 4 and Xbox One. It's called the Re-Mars-tered edition, and we absolutely appreciate that pun. THQ Nordic announced the new edition today alongside a list of visual upgrades: reworked graphics, shadow rendering, lighting, and native 4K support on certain console platforms. Back in 2016 Frontier Developments launched Planet Coaster, a very well-received simulator about building the best theme park you can and then making sure it runs as smoothly as possible, ironing out minor problems in design while making sure the guests are well catered for. 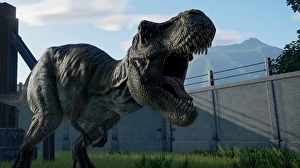 Two years on, Frontier is preparing to release Jurassic World Evolution - it will launch digitally for PC, PS4 and Xbox One on the 12th of June 2018, with a physical release following on the 3rd of July. Evolution is a game based on running a park in a world where such endeavours are always spectacularly ill-fated, mostly on account of the attractions' fondness for escaping their designated areas and killing people. At first these two elements - theme park design and inevitable, catastrophic failure - might seem like odd bedfellows, but it's in that tension between the ability to design a wonderful park and life's tendency to find a way, as it were, that Jurassic World Evolution really stands out. Aoife and I got a couple of hours' worth of hands on time with Jurassic World Evolution earlier this month and what we played was very promising. As you might expect, the game is built on the foundations laid by Planet Coaster, so the actual mechanics of putting a park together should feel very familiar. The main difference, of course, is that you're not building rides but engineering living, breathing dinosaurs - there are whole layers of strategy built around fossil acquisition and research that open up new species of dinosaur with differing advantages (such as a longer lifespan or defensive stats) as you sequence more of each dinosaur's genome. Strange though it may sound to be doing DNA research in order to unlock what are, effectively, upgrades, it all hangs together very well. The park feels as much like a scientific facility as it does a tourist attraction and, with new systems such as power distribution to take care of, there's more for you to think about in the day-to-day running of your own Jurassic World. 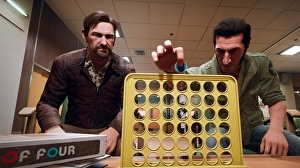 A Way Out, the new game from the Swedish-Lebanese director Josef Fares and his team Hazelight Studios, absolutely insists on being played co-operatively by two players. Not just two players, but two friends. The action is followed using a clever, dynamic split-screen display that keeps the two player characters in view at (almost) all times, and the game is best experienced in local play. It can be played online, but not with strangers; there's no matchmaking and you can issue invites to your friends list only. You are, at least, granted a Friend Pass that lets your online buddy download the game and play with you for free. 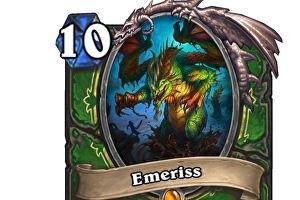 So, it's not the easiest game to play. You need negotiation and co-ordination skills just to fix a time to sit down to it. It's clear that the developer really wants you to play it with someone you know. And it won't surprise anyone who played Fares' debut game, Brothers: A Tale of Two Sons, to learn that he has a very specific pay-off in mind. That game had two lead characters as well - both controlled by the one player this time, using both control sticks on the gamepad. It used this set-up to generate some gentle puzzle gameplay, but also to frame a mighty emotional hook near the end of the game, where the unique control scheme and the affecting storytelling coalesced in one unforgettable moment. A Way Out tries to do something similar, only with social dynamics rather than game mechanics. It kind of works, but - as is often the problem with this kind of high-concept game design - the pay-off doesn't quite justify the set-up. Ubisoft's enormously enjoyable open-world winter sports game Steep will be getting special challenge event seasons, with their own exclusive rewards, starting next month. 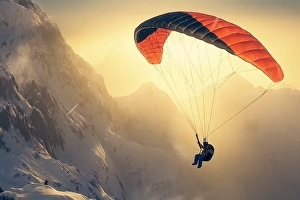 The new system, known as Live Activities Seasons, tasks players with besting a variety of temporary challenges in order to win an exclusive set of gear. Different challenges award different parts of the unique gear, with a new gear set and new challenges being introduced every three months. Season 1 of Ubisoft's new initiative begins on April 1st and runs until June 29th, with a second and third season planned for July to September and October to December respectively.